The massive popularity of Strava has changed the way many of us analyze data from our trail rides and has even changed how some people ride their mountain bikes. What some people don't seem to realize, however, is that the data you collect via your Strava app can be used for much more than just proving that you're actually the fastest rider to the top of the hill. While Strava is a great way to track your personal data and compare yourself with others, it's not a great app for finding trails to ride. Sure, there's the "explore" feature, but that puts segments of all kinds on the map, including both pavement and dirt segments. The biggest problem is that the majority of segments are for just a single climb or single descent. Very rarely are there actual segments for an entire trail or trail system. That's fine with us, because as you're probably aware Singletracks.com is the best place to go to find information about mountain bike trails near you, and we boast the biggest mountain bike trail map database in the world with well over 20,000 miles of mapped singletrack (as of the time of this writing several years ago... way more now). No, the maps themselves aren't free... it takes a lot of work to create and curate all of these maps. However, if you're a Strava user, you can easily take your Strava data and earn free access to the maps on Singletracks, thanks to the Singletracks Co-op. To turn your Strava data into mountain bike trail maps, you need to first export your data as a .GPX file. 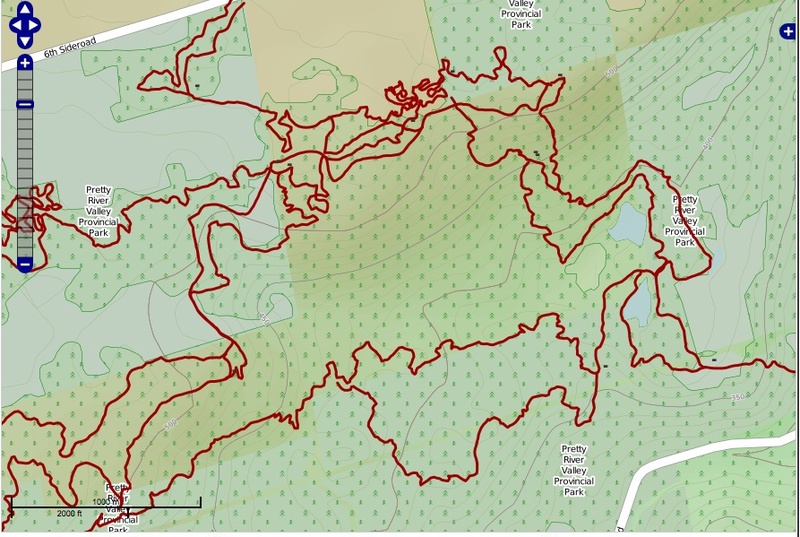 To do this, click on over to Strava, and go to the ride that you want to turn into a trail map. Click on "View Details" to pull up the complete page for that specific ride. Next, click on the wrench button on the left side of the page. Then, select "Export GPX" from the drop down list. Then click the button verifying that you want to save the file to your computer. Now all that's left is to upload the GPX file to Singletracks.com. First, find the trail listing for the trail that you rode (in this example, that's Mcquaid Creek). 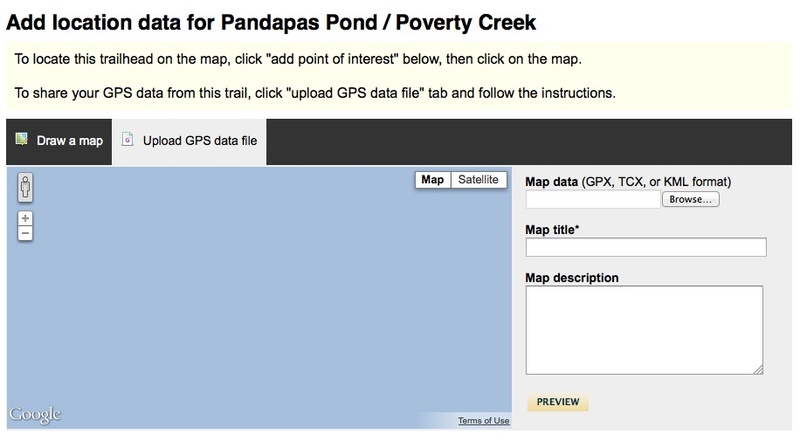 Second, click the black "add to this trail" button on the upper right of the trail page, and scroll down the drop down list and click "add map data." Now, click the "Upload GPS data file" button, click "Browse" to find the file that you downloaded from the Strava website earlier, add a title, and then click "Preview." If everything looks good, click the "Great - save it!" link, and then we'll take care of everything from there! 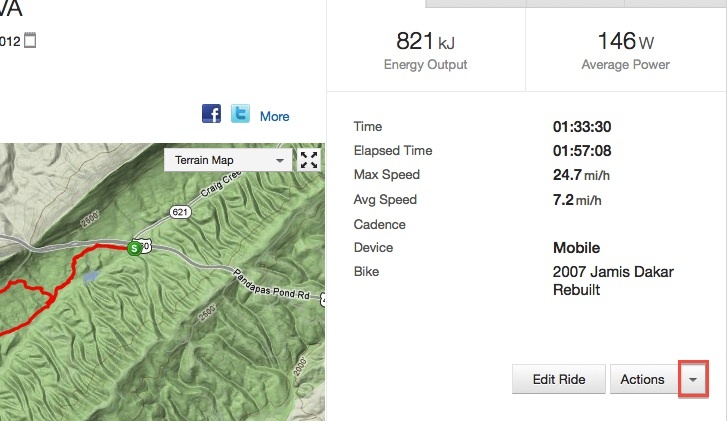 The method listed above is great for contributing Strava routes from the past. But if you want to submit Strava routes as maps in the future, there's an even easier way: connect your Strava account to Singletracks by using Tracker! Click here for full details.